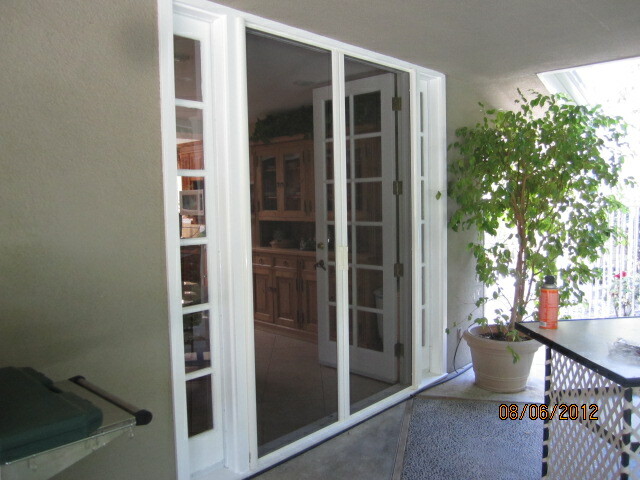 Our doors can be custom-fit to any double and single entry french doors, or sliding patio doors. 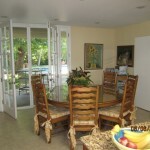 We also specialize in retractable window screens for a clear view to the outside. 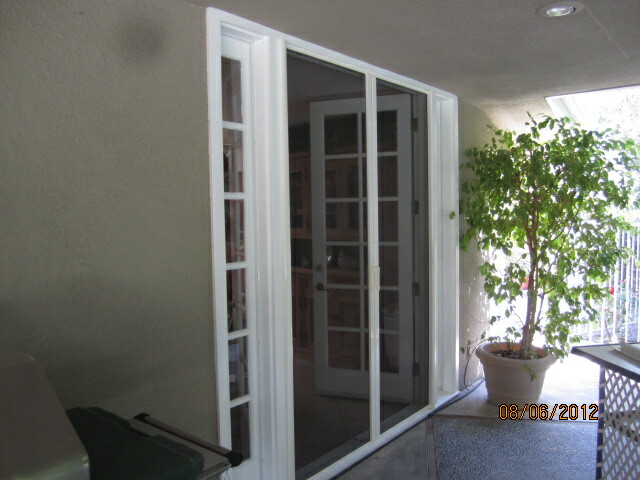 You never have to see your screen door obstrucing your outside view again! 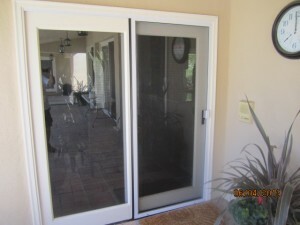 Make your retractable screen door disappear when not in use in the winter, rainy days, windy days and when having guests over. 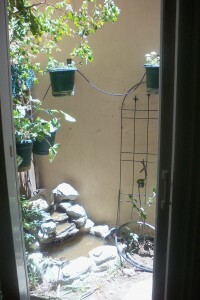 Do you have a window out to your patio that you would like to pass food through? 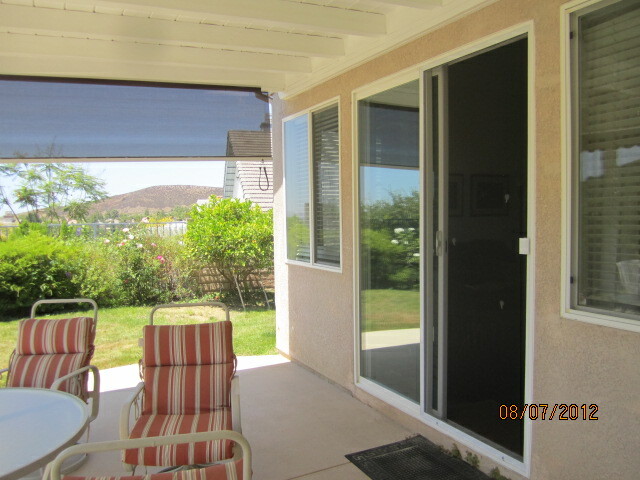 We can install a retractable pass-through window screen. 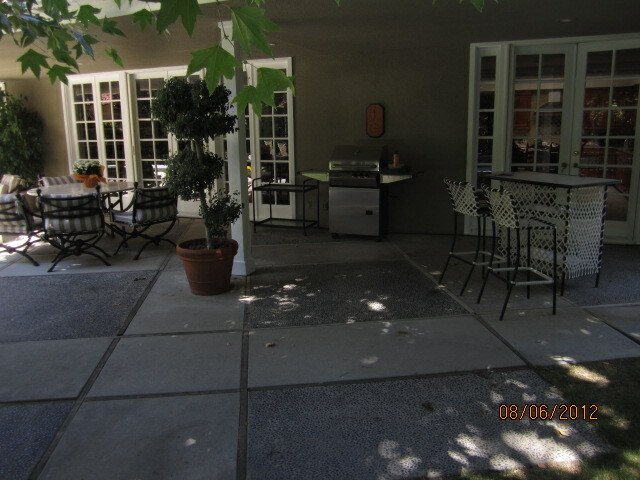 Retractable screens are made out of heavy duty extruded aluminum and are powder coated which will give them a better appearance while providing a long-lasting easy to clean surface. Only Silicone lubrication required as screen simply glides within a small out of the way track. No wheels or rollers to replace or fix. 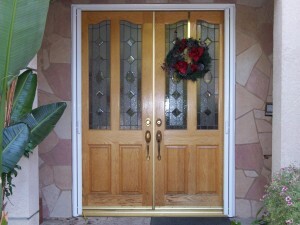 I am fully stocked so I am able to build any door the same day at your home. 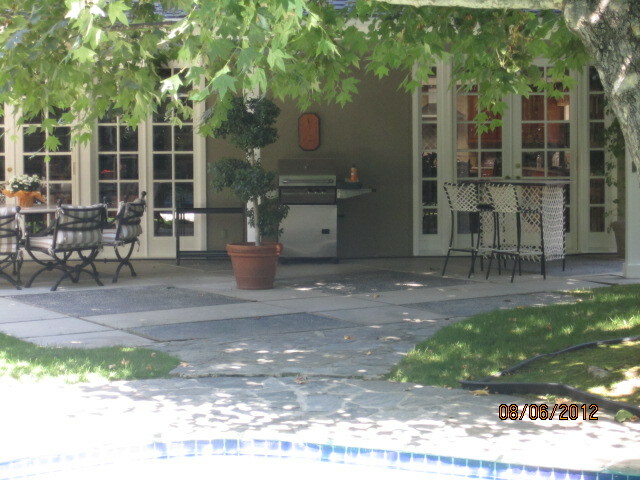 Retractable screens are designed for years of trouble-free use. 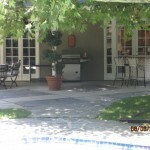 Complete Screens has been making and installing screens for over 15 years. Lots of experience makes us pretty much screen experts. That’s why you’ll find exactly what you need. 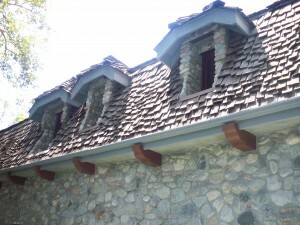 Made and installed perfectly on-site! 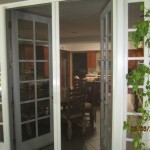 Select from a wide vareity of screen doors for almost every door style: Swing out, swing in, retractables, french, and sliding. 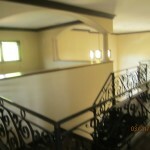 Aluminum, steel or wood frames. 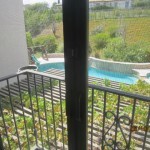 And a variety of mesh screening… to keep the bugs out. The sun out. And you cool. 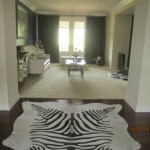 Let us know the style you like and I will take a brochure so you can see your choices in that particular style. 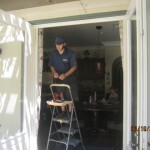 It is summer time and replacing your old screen doors with new ones is probably something that you want to do. Changing all your screens with new ones is easier than you think. 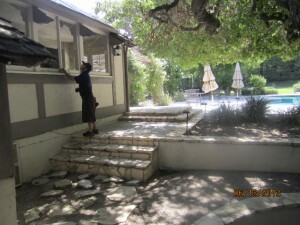 Just call me and I will go to your house and give you a free estimate. 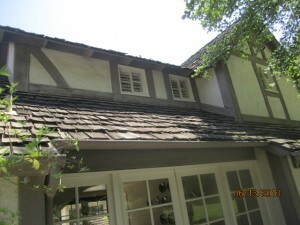 Getting new window screens can be easy if you call Complete Screens. 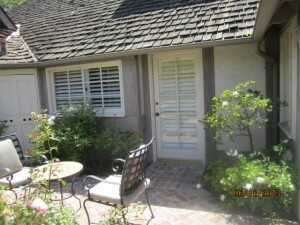 I have been installing screens in the San Fernando Valley since 1998. 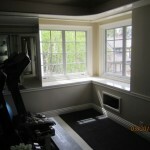 Now is a goo time to install all new window screens with quality screens and quality frames and hardware. 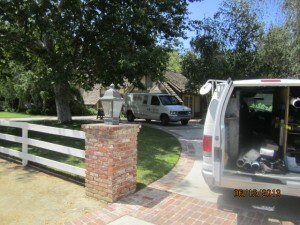 If you live in Reseda or surrounding areas you may have used our mobile screen service . 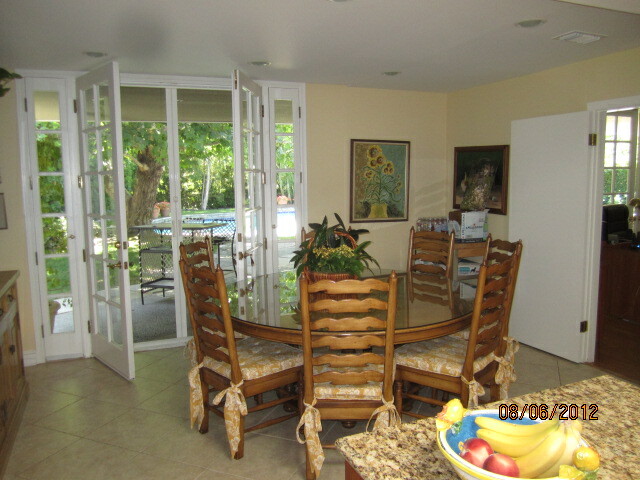 We recommend that you wash all your window screens and screen doors a few times a year. Remove the screen windows and hose them down. Fill a bucket with some lukewarm water and a little bit of dish washing soap, then brush them lightly with a nylon brush. Hose the screens down removing all the soapy dirty water. Dry them with a towel, the water will be soaked up quickly. then reinstall the them. 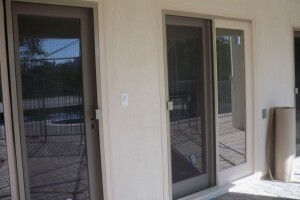 Repeat the same process with the sliding door screens and th swinging door screens. 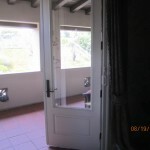 An instant screen door is just what the name implies — a screen door, or screen panel, that attaches quickly and easily to a door frame without the need of tools or major adjustments. 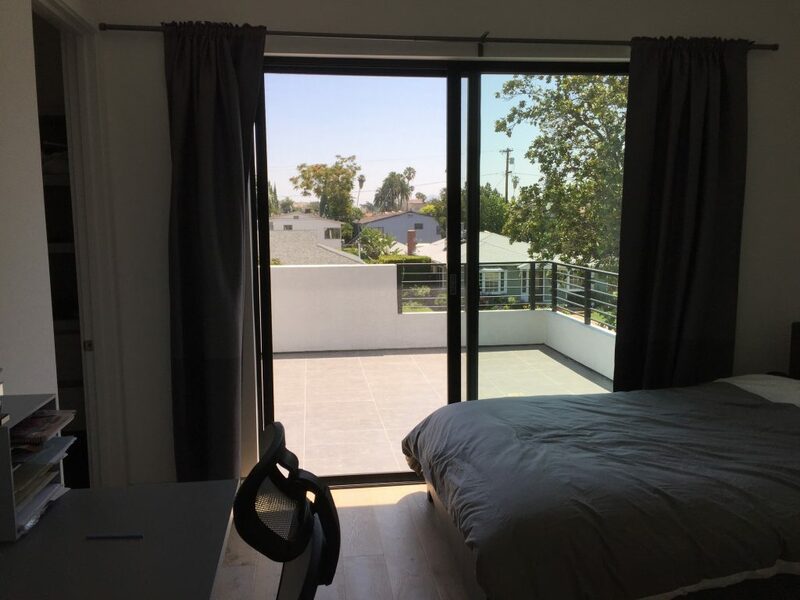 Many apartment building owners won’t allow their tenants to make any modifications to their buildings, and this includes installing conventional screen doors. 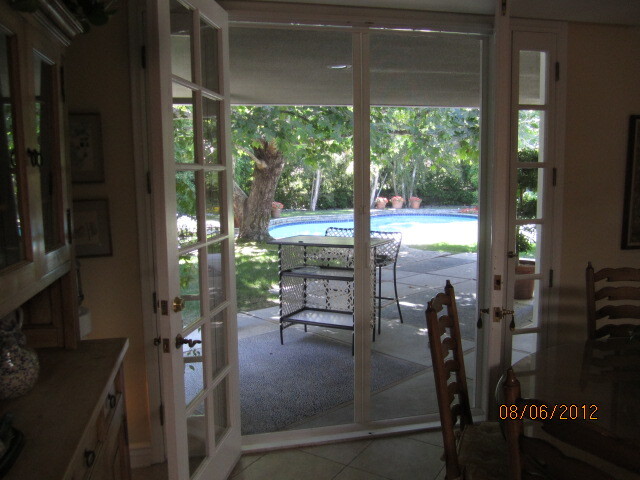 Instant screen doors don’t change the basic structure of a door frame, and they can be easily moved to other doorways of the same size. 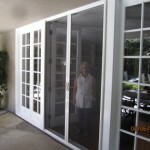 Instant screen doors are available in a wide range of sizes from 30 inches wide by 80 inches high to 36 inches wide by 96 inches high for single and sliding-glass doors, and from 60 inches wide by 80 inches high to 72 inches wide by 80 inches high for French doors. 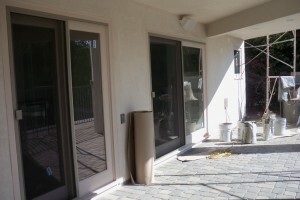 The instant screen door hangs from a tension rod that is attached to the top of the door frame. 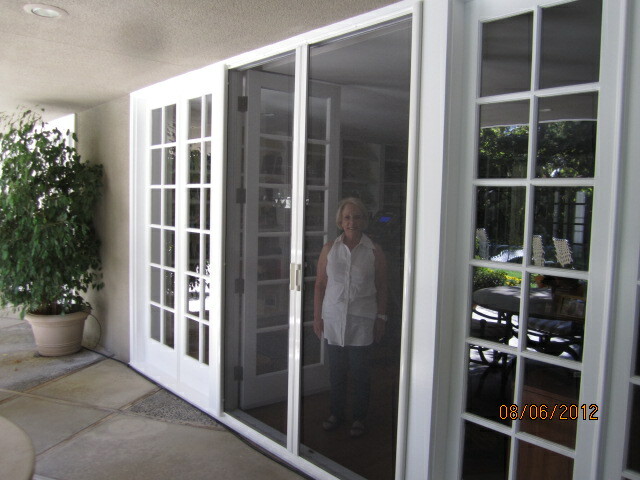 The screen door is held in place on the sides by loop-and-hook tape fasteners, and it has a double sleeve at the top to allow for height variances in door openings. 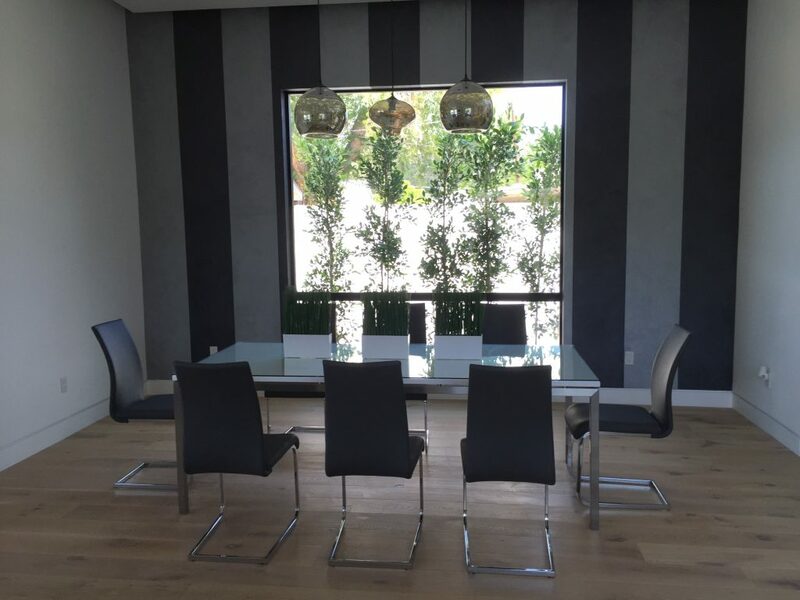 It’s made of pliable fiberglass mesh that closes automatically once you’ve walked through it, and is kept closed by magnets in the center and on the bottom of the screen. 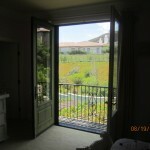 If you’re searching for Screen Doors and Window Screens in Malibu, CA. 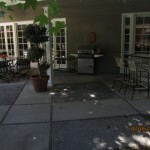 area, or other near by areas, here are some other cities we service. 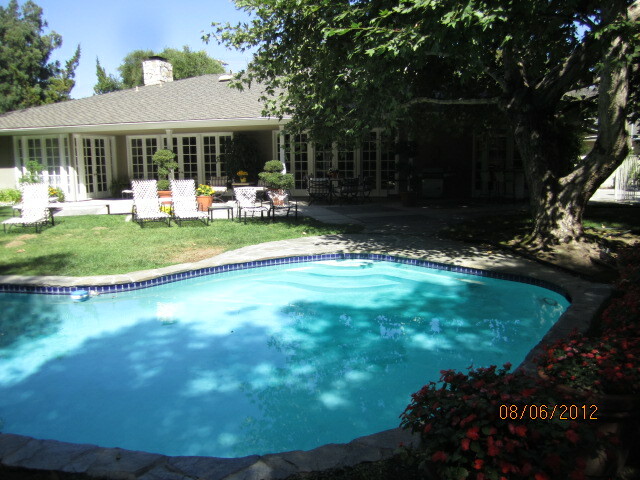 Mobile Service in the following areas: Agoura Hills, Bel Air, Bell Canyon, Beverly Glen, Beverly Hills, Brentwood, Calabasas, Canoga Park, Chatsworth, Encino, Granada Hills, Hidden Hills, Los Angeles, Malibu, Mission Hills, North Hills, North Hollywood, Northridge, Oak Park, Pacific Palisades, Porter Ranch, Reseda, Sherman Oaks, Simi Valley, Studio City, Tarzana, Thousand Oaks, Topanga, Van Nuys, West Hills, Westlake Village, West San Fernando Valley, Winnetka, Woodland Hills, Wood Ranch. 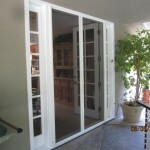 We recommend “retractable screen doors” for the front french doors of any home. They have a few highly desirable features. 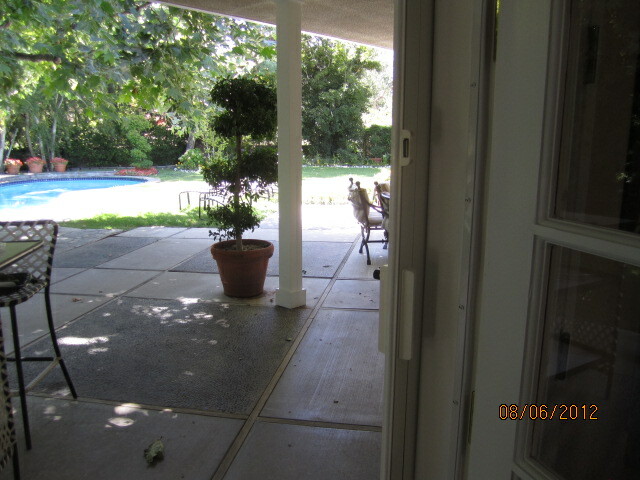 One of them is the attractive feature of “disappearing” when your front french doors are closed. 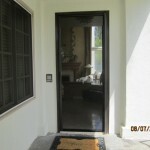 Most people like their front doors and do not want to cover them with the traditional and conventional screen doors. Another feature that is popular is the easy close and easy snap together heavy duty magnets. 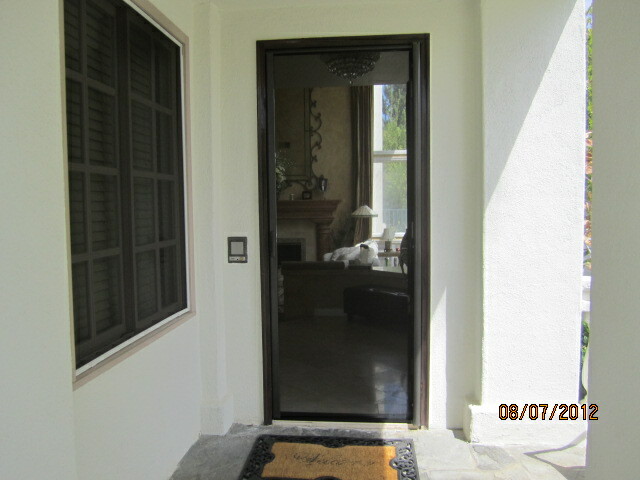 A highly trafficked door entry discourages customers from installing conventional doors. 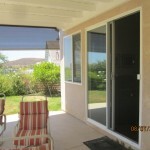 The standard swinging screen doors can be gaudy and inconvinient. 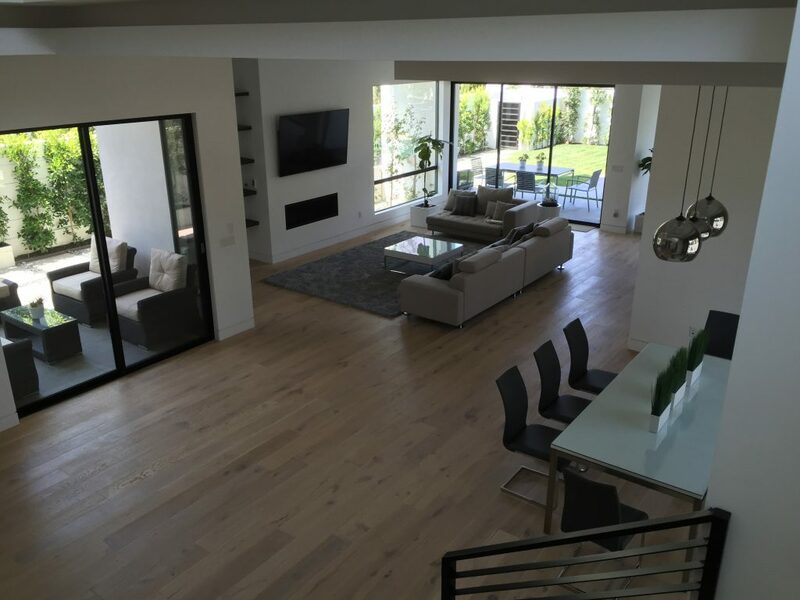 The clearview retractable screen doors also come in 12 different colors and 12 different color bottom sills which will allow the customer order their sill to match their existing sills making them virtually disappear. 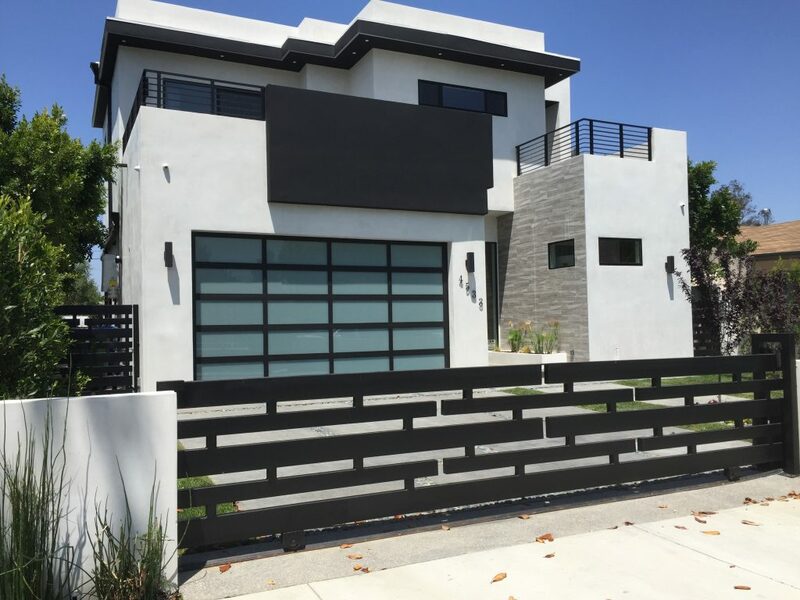 Our latest installation of retractable screen doors where installed in Malibu, Beverly Hills, Brentwood, Pacific Palisades, Santa Monica, Sherman Oaks, Northridge. 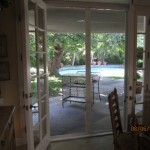 It’s that time of the year and screen door discounts are here. 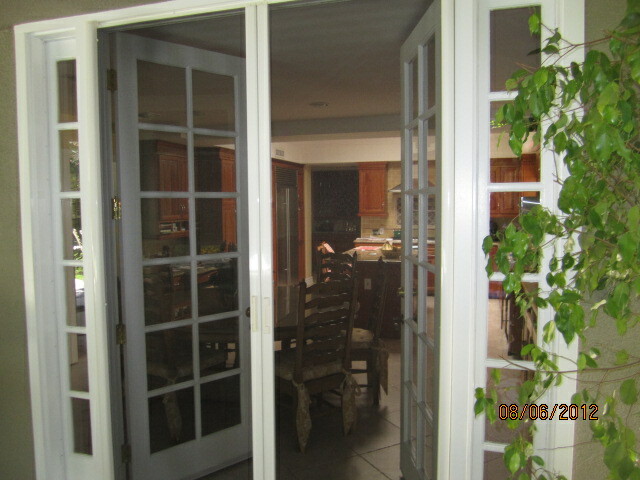 We now have a 10% discount not only on screen doors but any screen job you get from us. them to you personally. 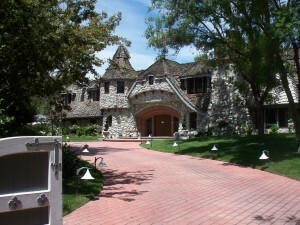 Then, back every product we sell with a Full Lifetime Guarantee with no gimmicks. 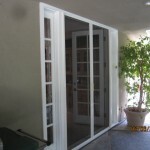 If you’re searching for Screen Doors in Lake Sherwood, CA. 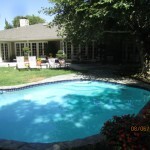 or other near by areas, here are some other cities we service. 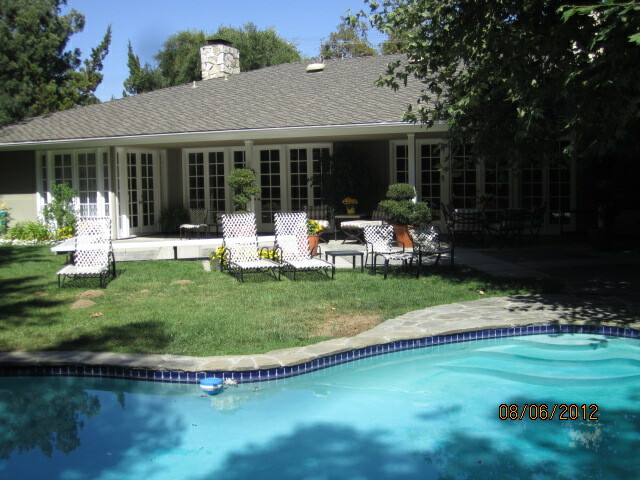 Agoura Hills, Bel Air, Bell Canyon, Beverly Glen, Beverly Hills, Brentwood, Calabasas, Canoga Park, Chatsworth, Encino, Granada Hills, Hidden Hills, Lake Sherwood, Los Angeles, Malibu, Mission Hills, North Hills, Northridge, Oak Park, Porter Ranch, Reseda, Sherman Oaks, Simi Valley, Studio City, Tarzana, Thousand Oaks, Topanga, Van Nuys, West Hills, Westlake Village, West San Fernando Valley, Winnetka, Woodland Hills, Wood Ranch. 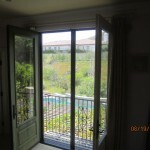 If you are having endless problems with your sliding glass door screen I promise your hassles are going to come to an end. 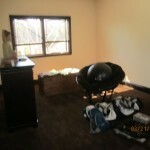 Just give us a call to set up a free estimate with our guaranteed service! 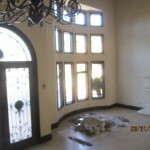 Once you get your screens in your home fixed with us you will never have window or door screen problems again! 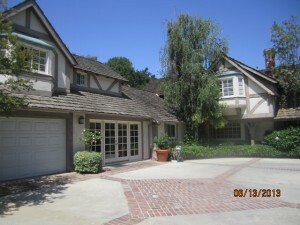 Mobile Service in the following areas: Agoura Hills, Bel Air, Beverly Glen, Brentwood, Calabasas, Canoga Park, Chatsworth, Encino, Granada Hills, Hidden Hills, Hollywood, Los Angeles, Malibu, Mission Hills, North Hills, Northridge, Oak Park, Pacific Palisades, Pacoima, Panorama City, Porter Ranch, Reseda, Santa Monica, Sherman Oaks, Simi Valley, Studio City, Tarzana, Thousand Oaks, Toluca Lake, Topanga, Van Nuys, West Hills, Westlake Village, West San Fernando Valley, Winnetka, Woodland Hills. The screen protector is a must with kid’s and pet’s. 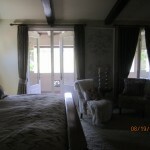 We are in business thanks to children and pet’s they are the number one cause for screens breaking and tearing. One way to help keep your screens lasting longer is the screen protector or what some people call the pet grille. 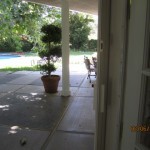 They are good for swinging screen doors and sliding screen doors only. They get installed on the outside of the screen frame and are held on by four screws on the four corners. There are two kind of screen protectors, one is thin, light weight, rattles and usually is very warped. The other type is thicker, heavier, does not rattle and is pretty straight. Another way to tell them apart is the one that rattles is spray painted and is usually all scratched and the other better quality screen protector’s finish is baked enamel which always looks like it’s in new condition. 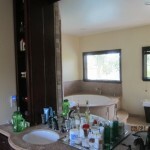 these can be installed by a handyman or a screen company will do it. Screen protector color and finishes are silver anodized, white, bronze, tan and a couple of others. 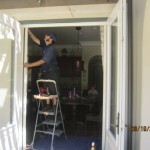 When installing them it usually is on the outside of the screen frame and on the bottom, if they are installed on the inside they can rub on encasement and get jammed. 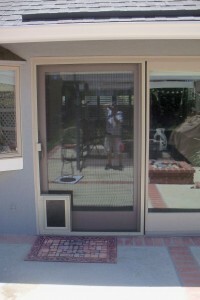 They help keep the children and pets from pushing on the screen mesh and loosening or ripping it on the bottom. the standard screen protector coverage area’s is 33 inches high. 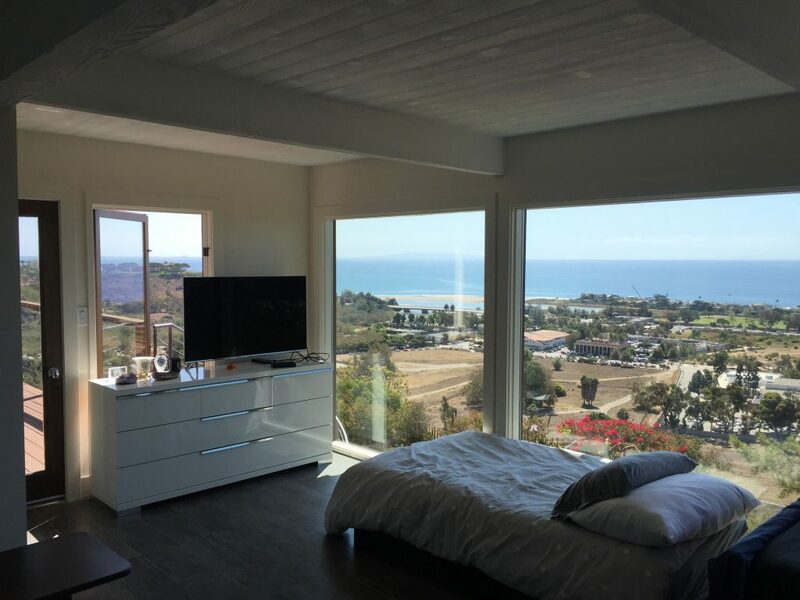 Custom screen protectors can be made to whatever height you need.